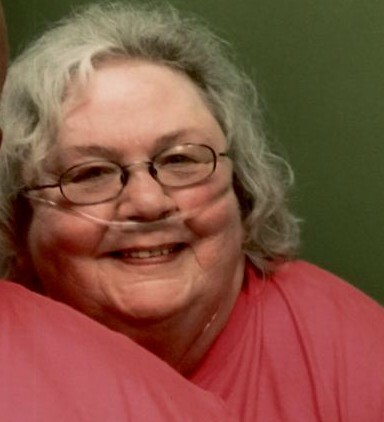 Ernestine Moore, 70, of South Shore, Kentucky passed away, July 9, 2018 in South Shore Nursing and Rehab Center in South Shore, Kentucky. She was born in Portsmouth, Ohio, June 21, 1948, a daughter of the late Garfield Clark and Euradail Roe Clark Morman. Preceded in death by one son, Joseph Moore, one brother Cappy Clark and two sisters, Fannie Renison and Lena Ruth Clark. Surviving are her husband, Lenard Moore Jr. of South Shore, Kentucky, one son, Robert (Sharon) Moore of South Shore, Kentucky, one sister, Valerie Lewis of South Shore, Kentucky, one granddaughter, Kaylen Moore of South Shore, Kentucky, many more friends and family. Funeral services will be held 1 P.M. Wednesday, July 11, 2018 at the Roberson Funeral Home in South Shore, Kentucky with Rev. David Robirds, officiating. Burial will follow in Collier Memorial Gardens in South Portsmouth, Kentucky. Friends may call at the Funeral Home from 10 A.M. till the Funeral Hour at 1 P.M. on Wednesday.